Film Scene - CAN YOU EVER FORGIVE ME? Please note there will be an open caption screening of Can You Ever Forgive Me? for the deaf and hard of hearing on Wednesday, November 28 at 7:30PM. Tickets for that screening can be purchased here! 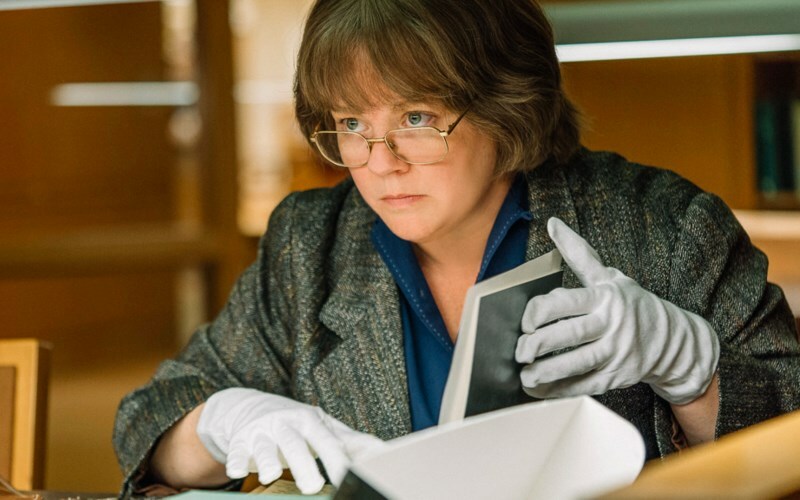 In Can You Ever Forgive Me?, Melissa McCarthy stars as Lee Israel, the best-selling celebrity biographer (and cat lover) who made her living in the 1970s and 80s profiling the likes of Katherine Hepburn, Tallulah Bankhead, Estee Lauder and journalist Dorothy Kilgallen. When Lee found herself out of step with the marketplace, she turned her art form to deception - forging and selling letters of the famous and dead - abetted by her loyal friend Jack Hock (Richard E. Grant), until it all fell apart. Based on Lee Israel's novel of the same name.